DOCTOR WHO show-runner Steven Moffat has done a lot of talking about the Peter Capaldi era being different from the Matt Smith period — and now the Grand Moff is assuring us that the 12th Doctor will be different from not just 11 but his 10th and Ninth incarnations as well, because Moffat is putting an end to all the kissing and mushy stuff that has been a staple since the show was rebooted in 2005. 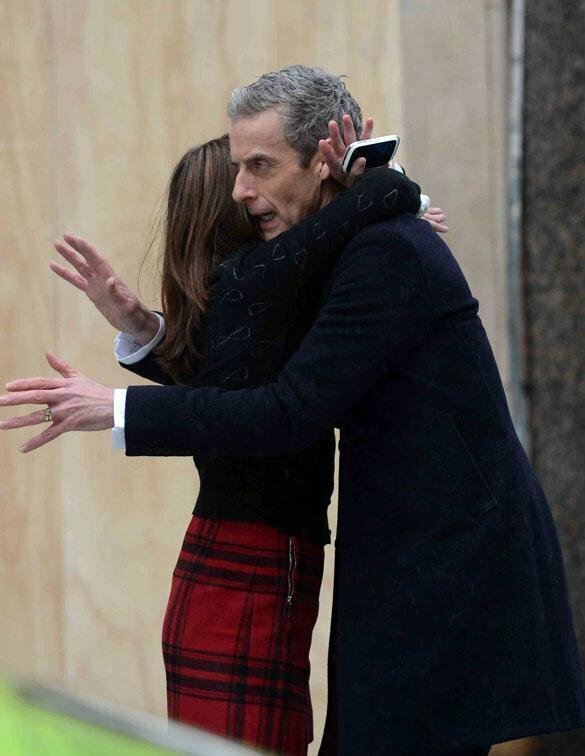 That’s right, the TARDIS will no longer be a “snog box” for the Time Lord. Now, is it just me, or does that rule out a return for River Song (Alex Kingston)? After all, the Doctor can hardly be called out for making out with his own wife. And perhaps the new policy is why Danny Pink (Samuel Anderson) is being brought on board — so Clara (Jenna Coleman) can have a love interest. This entry was posted in Behind the Scenes, Cult TV and tagged 12th Doctor, Clara Oswald, Danny Pink, Doctor Who, Jenna Coleman, Peter Capaldi, Radio Times, River Song, Steven Moffat. Bookmark the permalink. Zack Posts Batmobile Photo — and Batman!